50 years later, we’re finally getting the truth about the devastating fallout, which was four times worse than Chernobyl. On April 26, 1986, the Chernobyl nuclear power plant in Ukraine (then part of the Soviet Union) exploded. 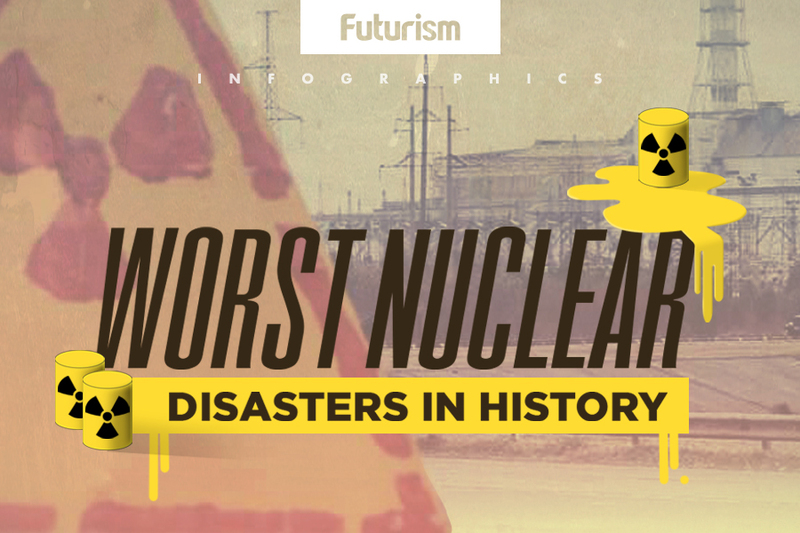 At that time, it was the worst nuclear disaster in history. Now, recently revealed reports demonstrate that far more cases of acute radiation sickness resulted from fallout after a 1956 Soviet nuclear weapons test in Kazakhstan. In fact, based on the human health outcomes, that testing created a nuclear disaster four times worse than Chernobyl. Until now, Moscow’s cover-up of the effects on human health has been kept secret. A design flaw in Chernobyl’s reactor 4 meant that as its nuclear core heated and became more reactive, it produced more steam bubbles — creating what was essentially a positive-feedback loop. Needing to perform maintenance, operators disabled the automatic shutdown mechanisms — which violated safety regulations — and a power surge caused an explosion in reactor 4 that blew the plate covering the core off. This not only released radiation but started fires, and seconds later, triggered a second explosion. The explosions killed two workers, and many more workers and emergency responders died in the days following the accident as they attempted to contain the damage. 36 hours after the disaster, local residents— many of whom had already started complaining of radiation sickness symptoms—were evacuated. Within three months, 31 people died as a direct result of the accident from exposure to radiation, and 134 people were hospitalized with radiation sickness. It’s believed that more than 6,000 cases of thyroid cancer may eventually be attributed to the disaster, though it’s likely impossible that exact numbers will ever be known. In August 1956, fallout in Kazakhstan from Soviet testing of nuclear weapons hospitalized more than 600 people in Ust-Kamenogorsk with radiation sickness — but the details of the incident remained secret until recently. At the time, scientists in Moscow found widespread radiation sickness and radioactive contamination, but tracked the consequences in secret — and without ceasing the testing of weapons. During the 1950s and 1960s, Semipalatinsk was the site of more nuclear bomb tests than anywhere else in the world. That legacy is apparent in Ust-Kamenogorsk and other villages and towns in eastern Kazakhstan, where scientists have found “widespread and persistent radioactive contamination” of food and soil. By mid-September 1956, dose rates in Ust-Kamenogorsk remained as high as 1.6 millirems per hour, and military medical officers found three people with acute radiation sickness. After the scientific expeditions, a special clinic known as a dispensary was established under Moscow’s control. The dispensary compiled a register of 100,000 people exposed to the weapons tests along with their children, and tracked the health effects of the radiation. Many of the records from the dispensary were destroyed to protect the secret operation, but it has been revealed that 638 people were hospitalized with radiation poisoning after the 1956 test. That’s more than four times the number of cases the Chernobyl disaster produced. The number of fatalities attributable to the Semipalatinsk testing remains unknown. The silver lining of the Chernobyl disaster is that it ushered in a new era of safety regulations. Unfortunately, more than 60 years of silence followed the disastrous testing that took place in Semipalatinsk. Hopefully, now that the secrecy has evaporated, we can use what information remains to keep it from happening again.